Experience tells us that benefits from seminars, either one day or one week, are not long lasting. After a very short period of time the participant forgets 90-95% of what he has learned, and has made very few, if any, changes in performance. This level of training provides good information, but mainly results in frustration, costly travel expenses and a major loss of non-productive time - no measurable results. Our proven process is time-tested, and is designed for the adult learner with limited time for learning. In order to have change, people need to actively initiate change. This starts with clearly defining what necessary changes and goals are required. A specific plan with clear action steps illustrates how the change will be initiated. Your goals become the driving force behind our results-driven process. 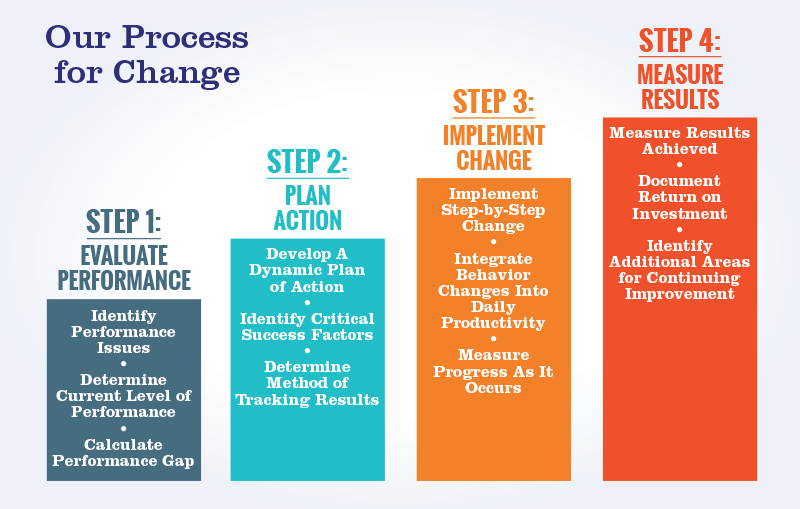 Our unique four-step process makes change easy and convenient for you. Starting with the results you want to achieve, we evaluate where your people are now. Based on our findings, we then calculate the performance gap. By identifying the changes that need to take place, we help people set specific and measurable goals, and develop a detailed plan of action. Participants begin immediate application of techniques designed to help them change their behavior and develop new habits necessary to achieve the results you want. Implementing the process over several weeks has many benefits. Participants don't feel overwhelmed and have sufficient time to master each step. Most importantly, new behaviors are applied directly to real business issues. Because of our unique process, we are able to hard-wire these changes into your organization to ensure long-term, ongoing results. Our goal is to develop long-terms relationships with our clients. To do that, our process must bring results and a high return on the investment made. Management must be able to link cause and effect to tie the investment to the desired result. 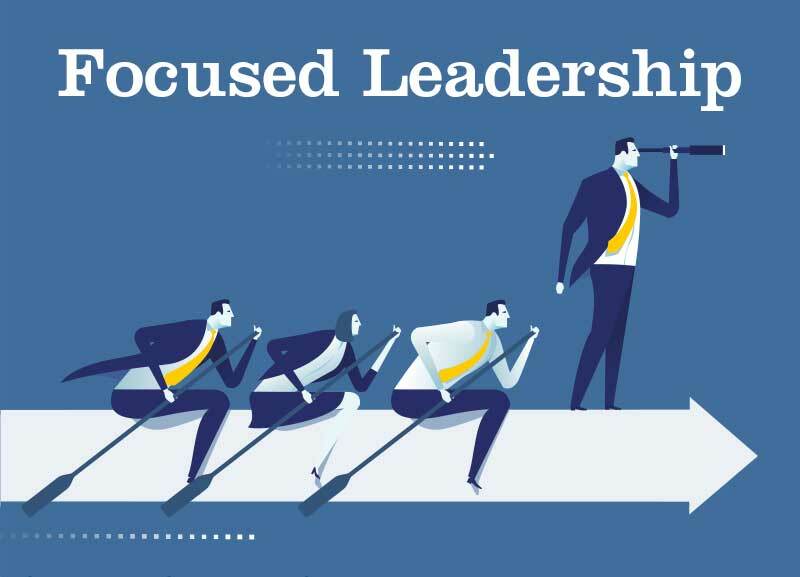 Progressive Leadership has over 25 years of experience and hundreds of satisfied clients. Our proven process can help you reach your goals!